Excuse the pun in the title, but let’s jump in at the deep end… those little Nespresso capsules are not coffee. Honestly they’re not, they’re just an excuse for companies to extract cash out of you for some lifestyle device that you really (really!!) don’t need. 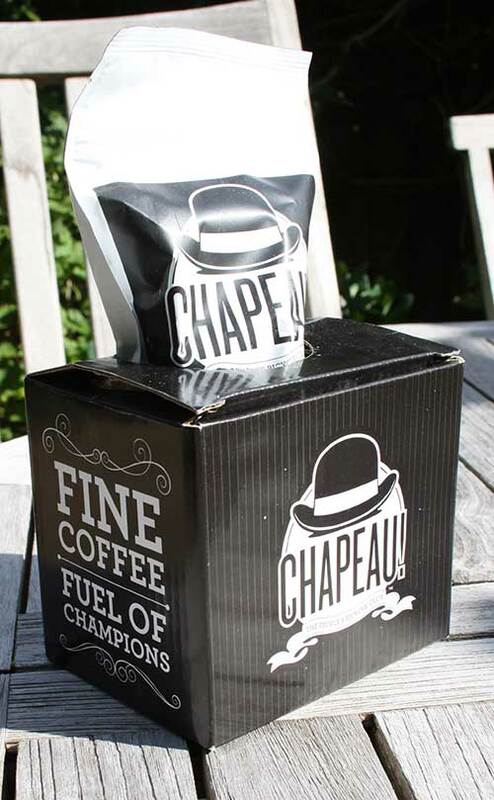 If you need coffee instantly, then use instant coffee – we won’t complain. 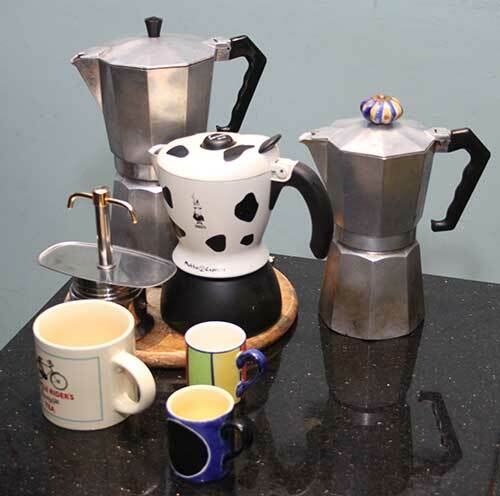 Instant coffee is exactly that, put one (or two) teaspoonful’s of coffee granules in a mug, add milk and/or sugar if you like, then add hot water – it’s really quick… it’s even quicker if you switch on the kettle while you’re doing something else. The only problem that I have with instant coffee is that it tends to give me a headache. I don’t know why it does this, but I’m not alone, so I restrict my instant coffee intake to probably less than once or twice a month. The rest of the time it’s real coffee. Which bring us onto what we like to think of as real coffee… so should you start with beans, and grind them yourself, or go straight for ground coffee? There’s actually something immensely satisfying from grinding your own coffee and, if you have a good source of fresh coffee beans we’d strongly suggest that you consider this to be your default option. I can remember a cafe in Windsor that used to roast (and sell) its own beans, but the days of having a roaster churning away are long gone, and many delis are probably selling some fairly mainstream options, so you’re going to have to search round for a good supplier – our best local option in Bath is the Tea House Emporium on New Bond Street, a mere skip away from the Waitrose and offering a mind-bobbling array of coffee, with advice and guidance for everyone’s taste. 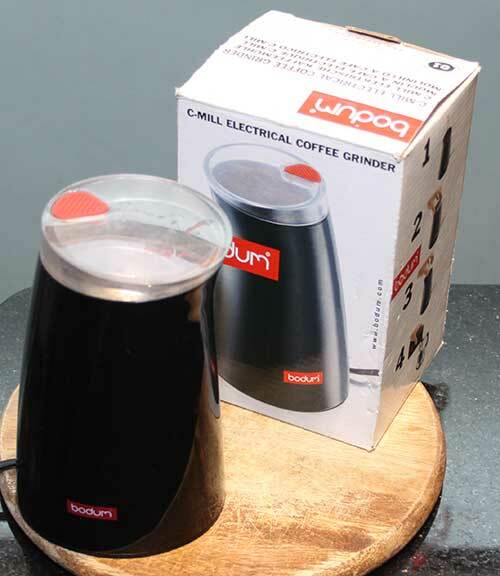 If you’re buying beans you’ll need a grinder and we have a little Bodum jobbie that’s perfect for grinding enough beans for one decent round of coffees. Just be aware though that this is also perfect for grinding curry spices, so be prepared for a hint of garam marsala in your coffee every now and again. However for most of us you’re going to be buying fresh coffee from the local supermarket or online supplier and, despite the hype trying to suggest otherwise, once it’s been vacuum-packed I don’t believe that you’re going to get a noticeable difference between the coffee you’re buying whether it’s beans or ready-ground – I’d love to be proved wrong on this, but in coffee terms most of this is so mass-produced and carefully processed that it can’t be much different, can it? So it’s generally pre-ground coffee for us in Mombee Towers. Generally we’ll lean towards the stronger coffees, at the expresso end of the spectrum as we prefer taste over quantity – a couple of decent coffees every day, versus an endless supply of weak coffee. If you’re a little unfamiliar to the world of ground coffee, you’ll find that most supermarkets will score their coffees clearly based on strength – with ‘5’ being the strongest. So what are you options for brewing a coffee… I’ll let you digest the ground rules and post the brew rules in Part 2 to follow shortly. I’d really like to know what are the authorized limits and if taking 2-3 expressos per day, every day, will put me at risk of beeing desqualified from a competition. Do you have any idea on this matter?